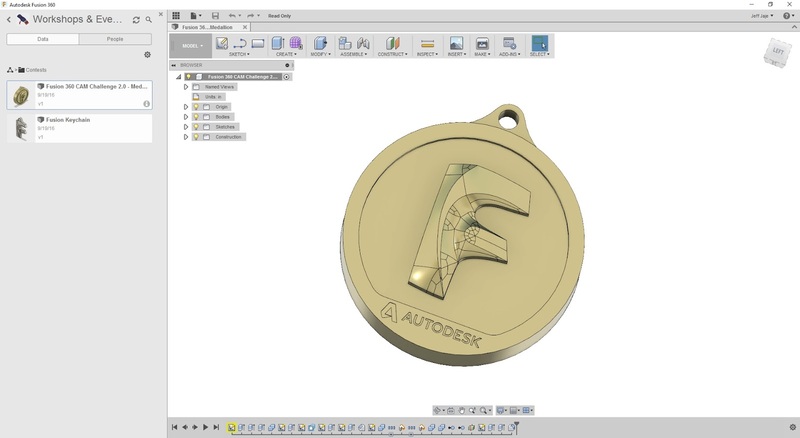 Zen and the art of using CAD CAM software. These are the random musings and opinions of someone that has been involved with CAD CAM software since the latter part of the 1980's. This blog is meant to be light-hearted, informative and balanced. Pretty much immediately after the IMTS show ended in September, the Fusion CAM challenge, part two, was announced. 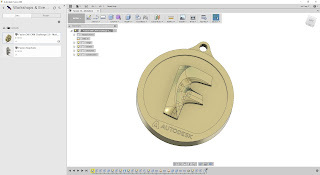 This contest had a significant grand prize, a free pass to Autodesk University. Fusion and Autodesk HSM users are incredibly creative, abd there were a large assortment of parts submitted through the Instagram hashtag #FusionCAMChallenge. Although the contest has ended, the hashtag still sees some action on Instagram: Follow this link to see some images with the tag. Challenges like this really allow others to see the creativity of the manufacturing community, as well as build community. 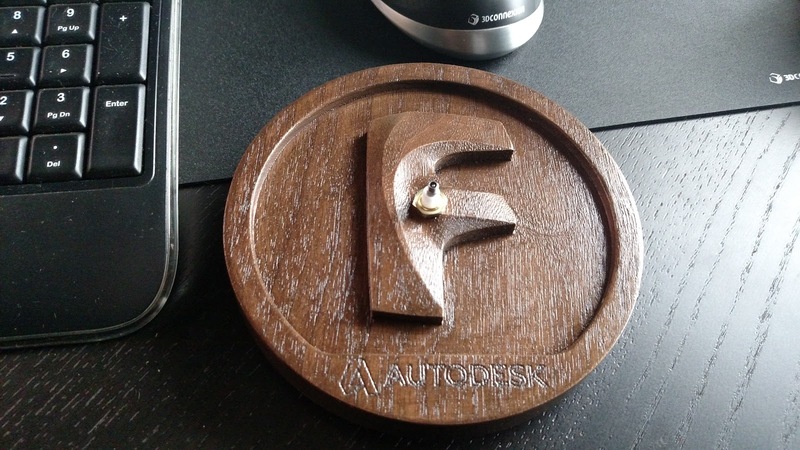 Autodesk employees get in on the action too. 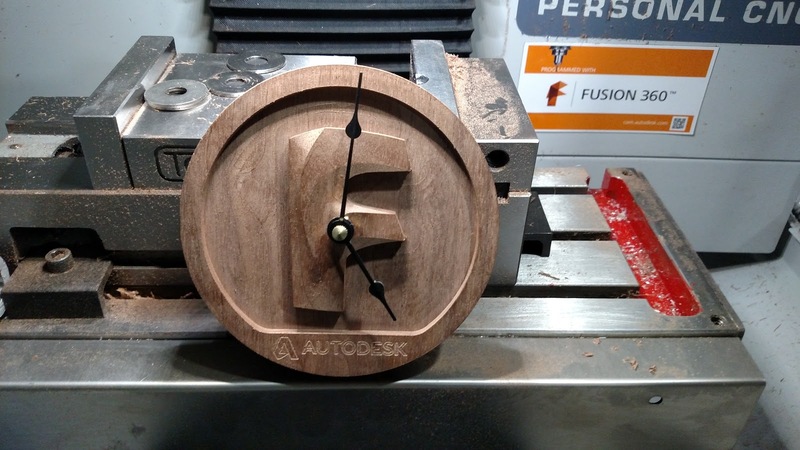 In this case, we decided to mill the shape into a clock. Our mill is the Tormach 440 PCNC. This mill is small enough to fit inside your garage or basement, yet powerful enough to mill metals like steel and titanium. 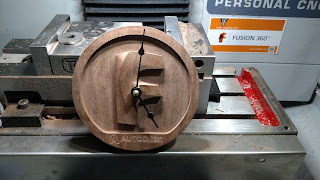 This mill has a travel of approximately 10x6 inches, so we picked up some 1x6 walnut wood to make a clock with a 5.25" diameter. Starting with a 3/8" mill, we rough the back side, including milling a pocket for the clock mechanism. After roughing the top, we switch to a 1/4" flat mill. This was first used to automatically re-rough some areas that the 3/8" tool was too large to fit into. After that, we use the same tool to profile the shape and finish the horizontal flat faces. This is an important feature. It usually works best to rough with a larger tool, because it is sturdier and you can have higher SFPM removal rates. Then use a smaller tool just for the areas left over. This approach normally allows for shorter overall run times. 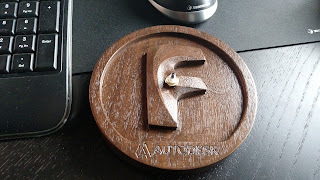 After the automatic re-roughing, we used a ball nose to finish the "F" of the clock. Drill a hole for the stem and it's finished. All told, a person with just a little experience with Fusion could program this clock and mill it in a pretty short amount of time. Download Fusion and create your own Fusion CAM Challenge. Below are some images of the clock. I first started using CAD software in 1987, and enjoyed it immensely. Soon afterwards, while attending college, I told my work section supervisor I hoped to get into computers in manufacturing, his reply was, "That won't become very big." - I thought then, and time has proven, him to be wrong. Disclaimer, I currently work in product marketing for Autodesk, and the opinions of this blog are my own, and do not represent them.